at TheCannabizMap..com our objective here is quite simple, to provide a platform for all aspects of the cannabis industry to come together . To gather all those involved in this exponentially growing market, no matter how big or small, by providing a: dynamic; affordable; fast; self-governing; non-hierarchical; cohesive; and geographically oriented, way to advertise your business, product or service. The internet has, in theory, provided a great opportunity for business and services to reach a wider audience, and yet we see lists as the primary mode of delivery, dominated by the usual suspects. Being presented with lists, to analyze and read, is both laborious and time consuming, causing would be browsers to quickly choose from those at the top of these listings. A map however, allows for a geographically distributed set of search results, providing a local, as well as a global, view of the market place, on the same screen! Recent technological developments have had a dramatic effect on way we access the information available on the Internet, namely touchscreen and the smartphones. Leaving behind the need for typing and reading, as a search function, has freed up space for web developers and gave rise to the icon. Icon searching is quick and browser friendly. On TheCannabizMap.com, with just a few clicks, a browser can reach your placemark, look at your site, return to the map and browse another placemark. Traffic will also be directed to TheCannabizMap.com by it being a part of a map to map sharing system. This will provide traffic from a various target groups, and not just from those fully aware of the cannabis revolution. 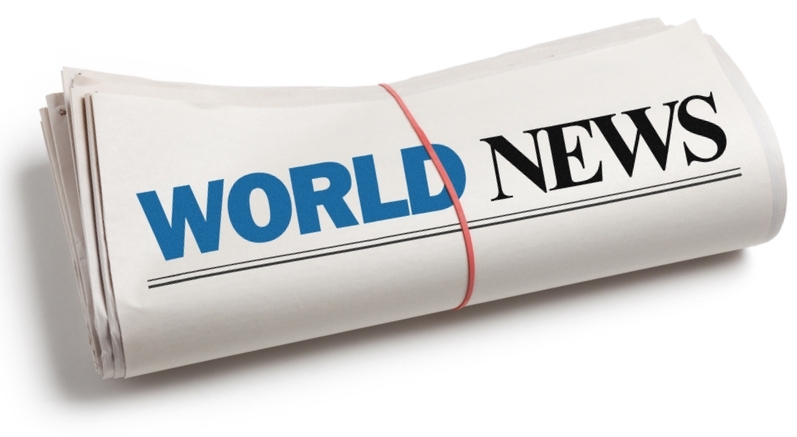 Many maps available, and many more are in development such as world news for example, where a browser can select and read from the worlds newspapers. There are also: local business guides; airport; surfing; sailing; even a quadcopter map are just a few. These appear on the map as smaller icons and open into another map when clicked whereby a browser, whom is browsing another map, can see TheCannabizMap.com icon, enter and browse our contents. Hey, who is not going to click on the "Cannabis" leaf! At TheCannabizMap.com we recognise that parts of the world are adapting their Laws, regarding the prohibition of cannabis, to cater for the obvious potential associated financial benefits. The new interest of the pharmaceutical industry, finally accepting the amazing medicinal qualities of this plant, is adding its weight towards this change. This added financial impetus has allowed the traditional cannabis industries to re-emerge namely: textiles; food; and paper, as raw materials are made locally available at competitive prices. Also new industries are being discovered within the building; plastics; and electronics industries, causing a demand for cannabis cultivation and it's necessary licensing. TheCannabizMap.com is not a dispensary for weed! We are a business advertising platform. The dispensary aspect of cannabis is very locally dependent, with different countries and states providing different responses to the relaxing of legal restrictions on cannabis production. The medical category on the map is their to define and promote the legal aspects of medical marijuana. Should your business be legally allowed to provide medical marijuana, oil, or pharmaceutical products, please advertise here. However, should someone want to advertise a legal dispensary on the map, why not. The medical category is there to highlight this development and TheCannabizMap.com is a platform for legal businesses to promote legal products. Because cannabis is a plant with a wide variety useful parts, its impact on production is dynamic. Many industries are benefitting from this development, where potential product diversity is huge, possibly second to none, whilst the quality of its products seem also to reach such heights. It is this diversity, we believe, that, not only provides for a dynamic and and vibrant market for its products, but also provides us a unique opportunity, to identify that which wants to be identified. The associated identity, with the cannabis leaf as its flag, already exists in the minds of many. Now, positively asociated with medicine, cannabis will now enter the mainstream. The leaf is no longer a symbol of dissent, but a symbol of a noble cause. A cause supported by many people. From those looking for products from responsible resources, to those seeking medicine. From farmers looking for profitable, sustainable crops, to industries looking for an economically sustainable available base products with which to develop and expand. Where candies; beer; paper; hemp-crete; medicines; materials; foods; plastics; and fuel are just a selection of this product potential. We hope to gather all these industries together, into one understandable field, where Interested browsers can see this industry develop, in their local area, as well as the global market place. TheCannabizMap.com is also only 49 Euros, making this a great product for reaching the all those involved, down to the smallest concern. TheCannabizMap.com would also like to to work with all media and web publications who want to share in the task, of making the most comprehensive guide into the world of cannabis. If you are interested please contact us by emailing info@thecannabizmap.com labeled business. Firstly, one can implement the map into most online publications with ease, and it is free to do so. This can be set up as a small visible map with open to full screen option, or however you and your web designer decide. You could then direct your advertising traffic to the map, to show, not only your client advertisers, but also other adverts, gathered by other parties, interested in the promotion of cannabis, all sharing the same field of promotion. Because of the diverse nature of cannabis products, different media deal with different aspects of its production. On this platform we provide a category for all the associated media, allowing for a full picture of the industry's development. And it will be these various media publications, reaching out, with this affordable advertising tool, to those priced out of the little available space, that will add the texture to thecannabizmap.com. Secondly one can become a reseller for the map, promoting not only your regular advertising clients on the map, but also finding new clients for this very affordable product. Good returns and very flexible packages are available, where our packages could be the solution to the media industry's problem of revenue losses with the move to an online medium. TheCannabizMap.com, and its associated platform sharing, hopes to have solved this problem. To assist in this we have developed a great marketing tool, a business pack, which can be easily delivered and sold by any relevant business. This pack contains a window sticker, complete with qr code, and a flyer with an easy step by step instructions in uploading your placemark, whilst having a pin code inside for the prospective client. This is a great tool for a paper media publication: offering outlets of the journal a new product, whilst possibly reaching the smallest aspects of this growing industry; also for expositions, and such large scale events, where the pack can be used as the tool of product delivery. inally we can help you make you a map, for you to develop, for your guide, or any other interest map. If one want make a fishing map, bikers map we can provide you a platform. TheCannabizMap.com, as well as all others, are not just maps, they are platforms, supported by a great administrative programming, allowing for smooth and easy business. Automatic email responses; invoicing; with many other to manage and control for responsible use. With workload of adding the placemarks being offset to the advertising client, giving them control over their advertising space, makes this a win win product. For the client no waiting, for the provider no work, great! So contact us for any questions at all, that you may have. Whether for advertising, becoming a reseller, or building your own map and joining our community of maps, or not, it's up to you. We see the future of Internet surfing moving away from lists, to a map based results page, opening relevant to the browsers locality, allowing the smaller businesses a place in the market!